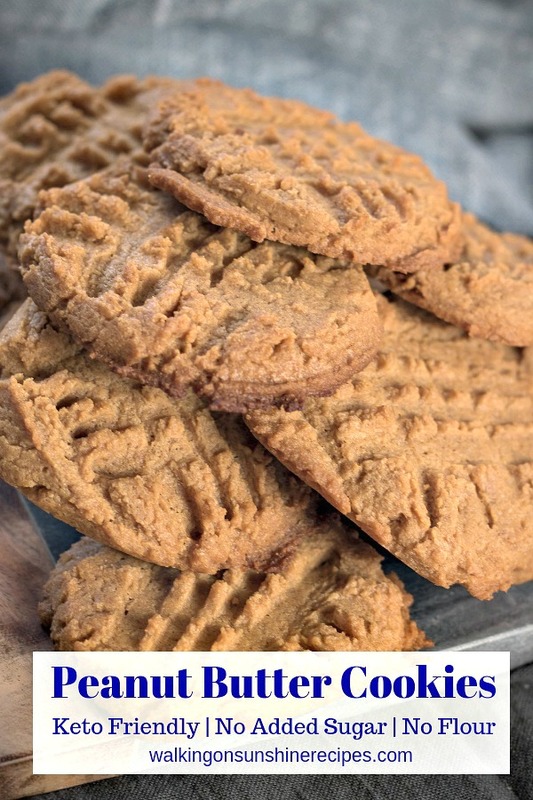 Sugarless and Flourless Peanut Butter Cookies made with no flour or added sugar that are delicious! the perfect Keto-Friendly, low carb dessert to enjoy while dieting or watching what you eat. Have you tried the cookies made with NO sugar and NO flour? If you are watching what you eat or even following a Keto, low carb or gluten-free diet, you’re going to love these cookies! 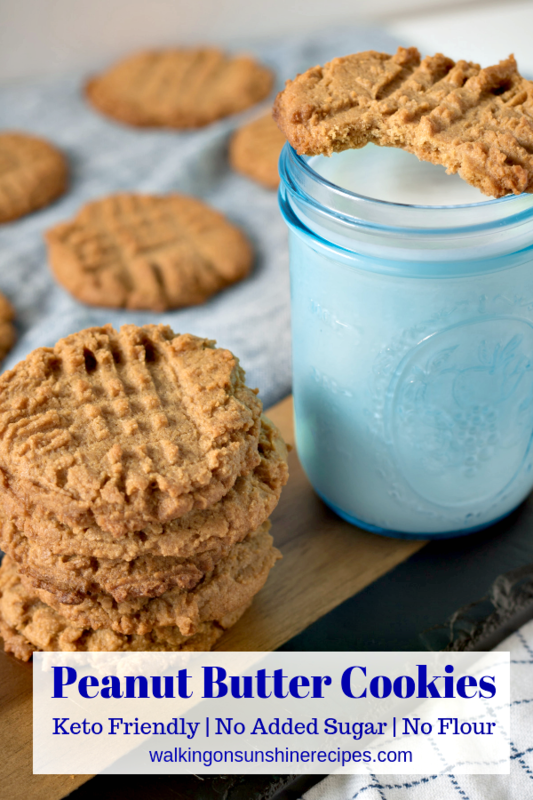 These peanut butter cookies are delicious and you will NOT miss the sugar at all, or the FLOUR. That’s right, sugarless and flourless peanut butter cookies that taste amazing. You need to make these cookies tonight. And I’m so happy that I finally have a printable recipe card for you to make it easier to save this recipe to make for your family. Make sure you print one out to add to your recipe files! 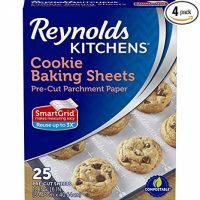 These cookies are perfect if you’re trying to watch your sugar intake or just trying to watch your calories. If you really need to be careful with sugar, you should try to use a natural peanut butter brand or one that is lower in sugar. And if you’re following a keto-friendly, low carb or gluten-free diet, then you’re definitely going to want to make these cookies! 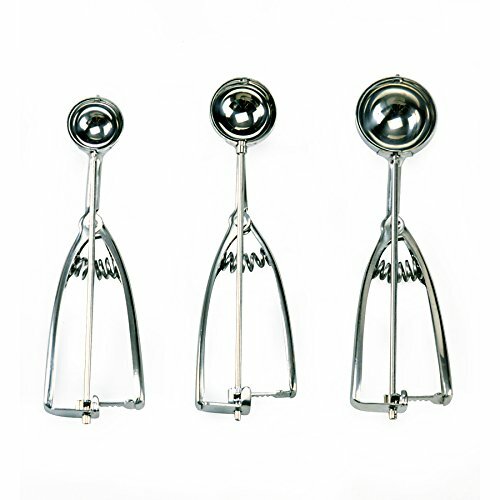 Also, experiment with the different types of sugar substitutes that work for your diet plan. I’ve used Splenda and haven’t had any problems with aftertaste. You can also use regular sugar if that’s not a problem for you. Either way, these cookies are delicious and easy to make. Definitely make some over the holidays if you have guests visiting that need to watch their sugar intake. In a mixing bowl, beat together the egg, sugar substitute, baking powder and vanilla for about a minute. Add the peanut butter and water and beat together. The mixture will be pretty dry; just make sure the peanut butter is blended in with the other ingredients. 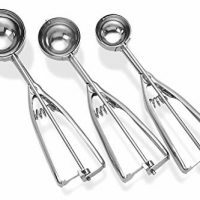 Measure out a heaping teaspoon of batter for each cookie and place on a baking tray that has been sprayed with non-stick cooking spray or lined with parchment paper. Then using a fork, make indentations into each cookie. Spray the fork with cooking spray so it doesn’t stick to the cookie. Bake 12 – 15 minutes until cookies feel firm and are slightly browned. 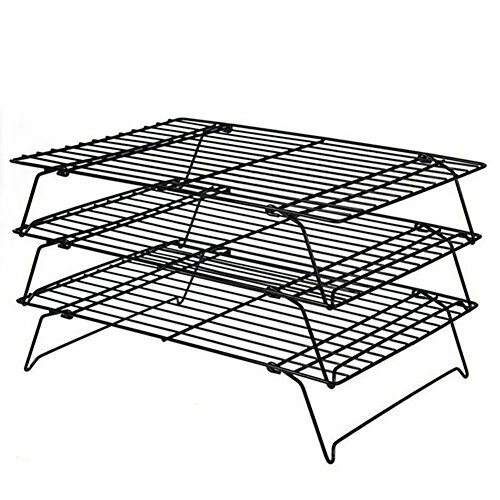 Transfer the cookies to a baking rack and cool. The mixture comes together quickly. It may be a little dry, but just make sure the peanut butter is blended in completely. Use a fork to make crisscross indentations into each cookie. 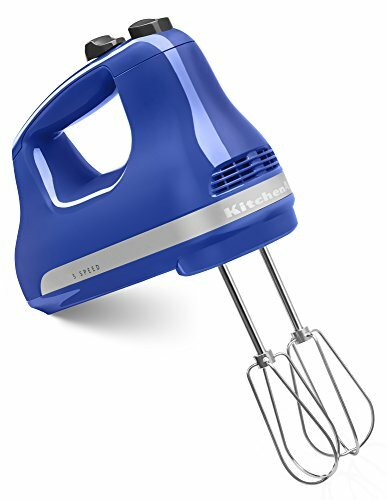 If you were baking traditional peanut butter cookies, you would dip your fork in flour to help the dough not stick to the fork, but since these are no-flour cookies, I found spraying the fork with non-stick cooking spray helps. 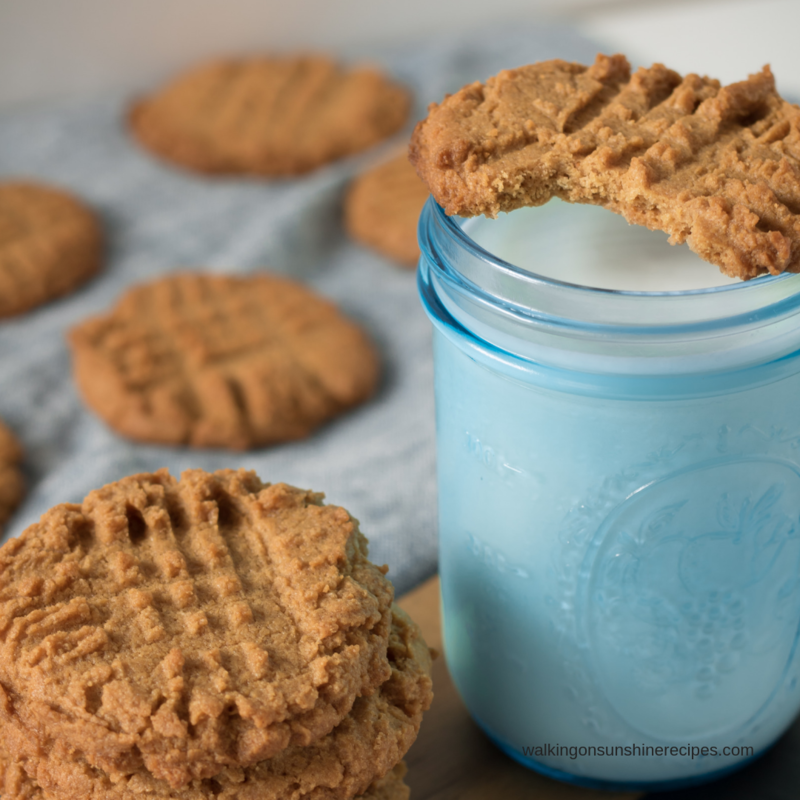 Keto-Friendly Peanut Butter Cookies are perfect with a cold glass of milk! Then using a fork, make indentations into each cookie. Spray the fork with cooking spray so it doesn't stick to the cookie. Bake 12 - 15 minutes until cookies feel firm and are slightly browned. YUM!!! These look delicious and sound pretty healthy! sounds good Lois! Thanks for these…I just might give them a try! Enjoy your day! Those sound and look perfectly delicious! Ideal with a tall glass of cold milk! Now I know! 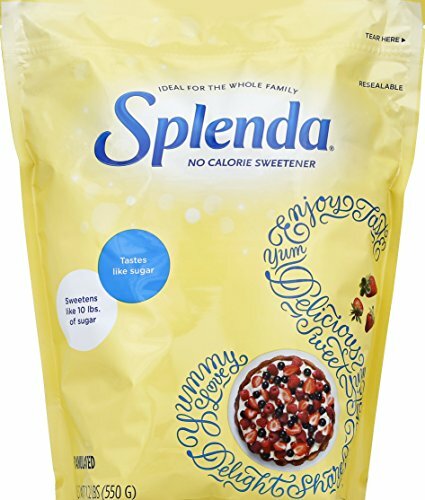 I just made these over the weekend and I was wondering if I could substitute Splenda for the sugar. So good to know! I love this recipe! My MIL will be living with us soon and is on a restricted diet, but loves her sweets. I will have to make these for her. 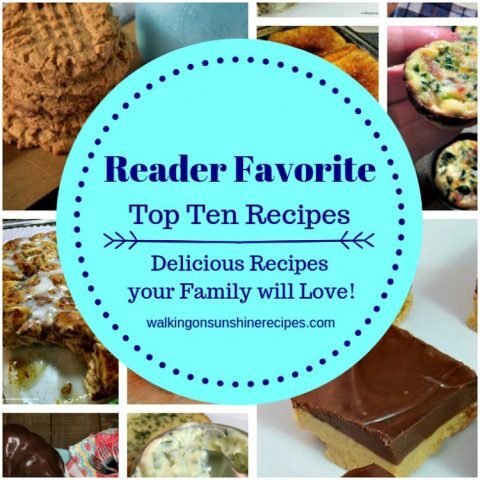 Thanks for linking up to the In and Out of the Kitchen party. I look forward to seeing what you bring next week. These cookies look fantastic! I cannot wait to try them. I love peanut butter cookies. The fact that they are flourless and sugarless is even better! YUM! I love peanut butter on my apples and bananas, but I've never eaten a peanut butter cookie – how weird is that? This looks like the easiest recipe ever and I'm going to add this to my 'holiday cookie' exchange. I know everyone will love it. how many calories in each one approx. Thank you for that info!! 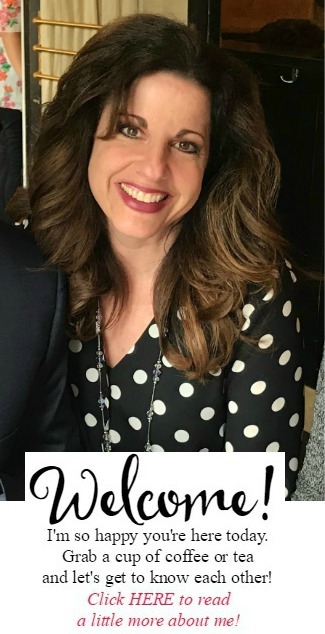 Thank you for posting that Michelle! I have been madly searching for an app that will let you type in the ingredients and it will figure out all the nutritional values. Would you mind sharing the app or how you were able to figure it out? Thanks. Have you tried Googling to find an app Pam? That is so good to know! Thank you! I would like to substitute the splenda with honey,do I still put 1 cup in? Kandy…I just ran across this recipe and was wondering if you were able to get an answer to your question? I would like to use Stevia or maybe a combination of honey and stevia. I no longer trust the artificial sweeteners. 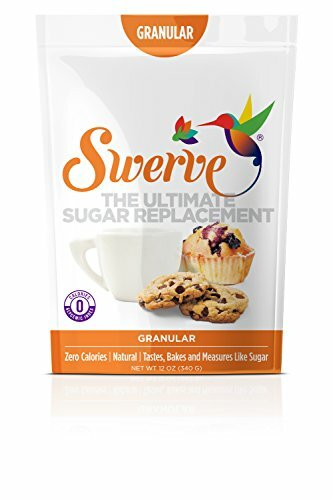 Swerve is a good alternative. I'm sharing this in my Saturday Round Up email, Lois. It looks great, and it's awesome for anyone who is counting carbs. Only change I'd make is to use Xylitol (which, despite the weird name, is a natural sweetener) instead of Splenda. Isn't Splenda an artificial sweetner? That would be my only concern with this recipe. Otherwise it sounds quite good. I suppose if one is Diabetic then this recipe may suffice. It is certainly not healthy as Splenda is an artificial sugar substitute, complete with side effects. they look yummy and simple!! I'm assuming you mean 350 degrees Fahrenheit? I use Celsius and that seems a bit hot. Yes, sorry for any confusion. I do mean Fahrenheit. Thank you! I made these last night and they turned out really good. 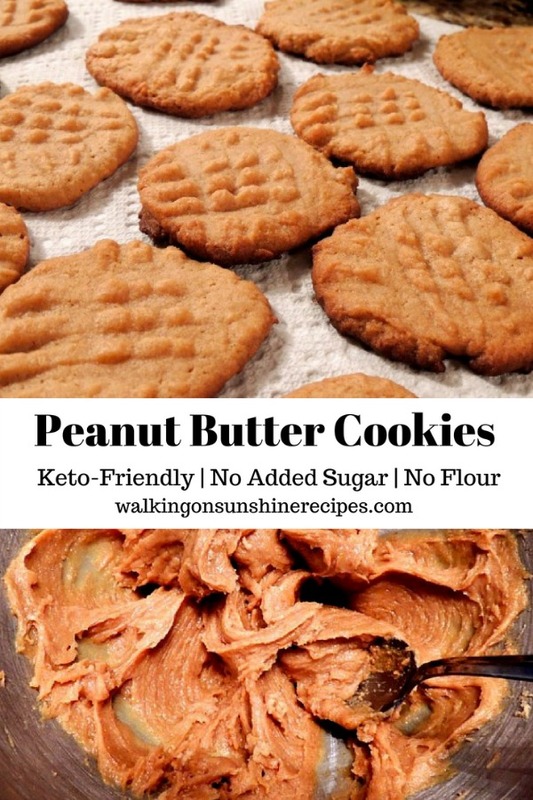 I used Skippy Natural Peanut Butter and Erythritol instead of Splenda. There was definitely a cooling effect from the erythritol, but that's normal and I'm used to it by now. I ended up making 16 (they were a bit large and I had some leftover dough that I threw out because my pan was full and I didn't want to cook another batch), but the rough estimates had them coming out at 2g net carbs. Definitely a keeper. Has anyone tried it with Pyure? That's an erythritol and stevia mix supposed to be good for baking. Supposedly the stevia curbs the cooling effect. I wonder if the proportions would be the same. I don't use Splenda for baking as I find it has an aftertaste for me. Re the above post: I just answered my own question. 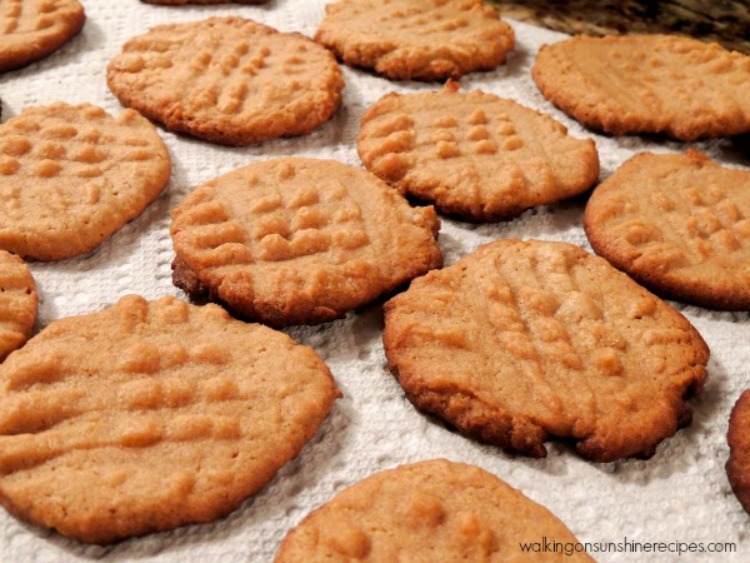 I made these with natural PB and 1/2 cup Pyure instead of erythritol and may I just say WOW! 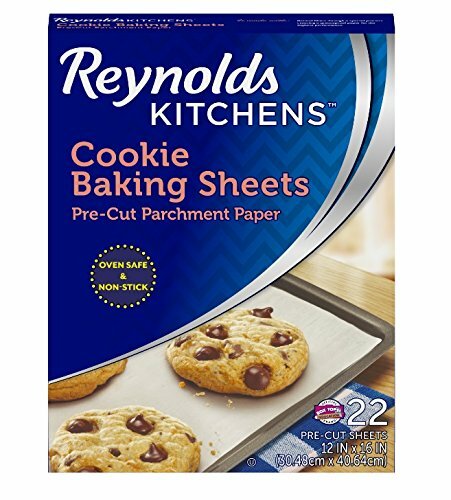 I'm diabetic and finding sugarless treats that don't taste like poor substitutes for the real thing is a challenge but these amazed me with taste and texture that is so close to the real thing. The only other tweak I will make next time is to add 1/4 tsp of salt to make the flavor pop. I used a small cookie scoop and got about 30 cookies. Maybe your oven runs a bit hotter than mine and you might need to adjust the time you cooked them. Let me know if that helps you! Thanks Cathy! Let me know if you try the recipe. Thanks Deb! 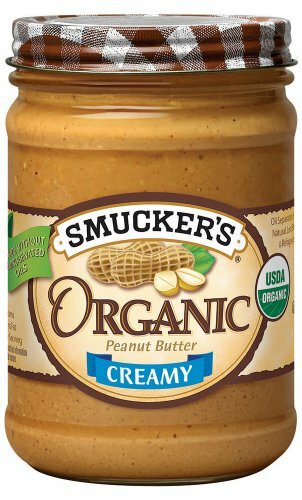 There are 3 grams of sugar in 2 tablespoons of peanut butter. So how are these sugar free? Should you say “no sugar added”? Yes. I do point out to be careful when choosing the type of peanut butter you use for the recipe because of the sugar. Thanks for visiting! Hi Beth, Ask your husband’s doctor what sugar substitute is good him with his current diabetes plan. I usually use Splenda in the recipe and it works and tastes great for me. Thank you for visiting. Let me know if you try the recipe and what sugar substitute you decide on. Beth my doctor told me to use only Stevia. It is the only true sweetener besides sugar. At the top of you’re recipe you say cook time 8 mins. At the bottom of the recipe you state 12-15. Which is correct? Thanks for catching the typo! Recipe card has been adjusted! Why is this recipe called NO Sugar/ no flour in the title of the recipe! When the number 2 ingredient in this says 1 cup of SUGAR or STEVIA! Then clearly this recipe is not SUGAR Free!!! The recipe calls for one cup of Splenda or your favorite sugar substitute. Thank you for visiting. Would this recipe work using Almond Butter or other nut butters? I have a friend allergic to peanuts. Hi Leslie, I really don’t know! You could try and see how it comes out. Come back and let me know! Baking for a group of Kiwanis…lots of older members are diabetic. Just baked and taste tested these…Yum! I used Truvia sugar sub, Sunbutter (have a family member allergic to tree nuts, so thought I should try a ‘repeatable’ recipe), and per a comment above…added 1/4 tsp salt. Bake time for me was 13-minutes. I got 21 cookies. Nutritional value calculated. Wish there was a way to share photo. You can share a photo in the group Michelle. Thank you for letting me know you enjoyed the cookies. Made my day! Just wondering how much stevia you used for the recipe? Good recipe! I used half the amount indicated of swerve and cookies r great if maybe a little drier. I hate the after taste of artificial sweeteners so I always reduce. My family loves them. Even the son that doesn’t like sweets. Thank you for letting me know! Glad you all enjoyed the cookies. 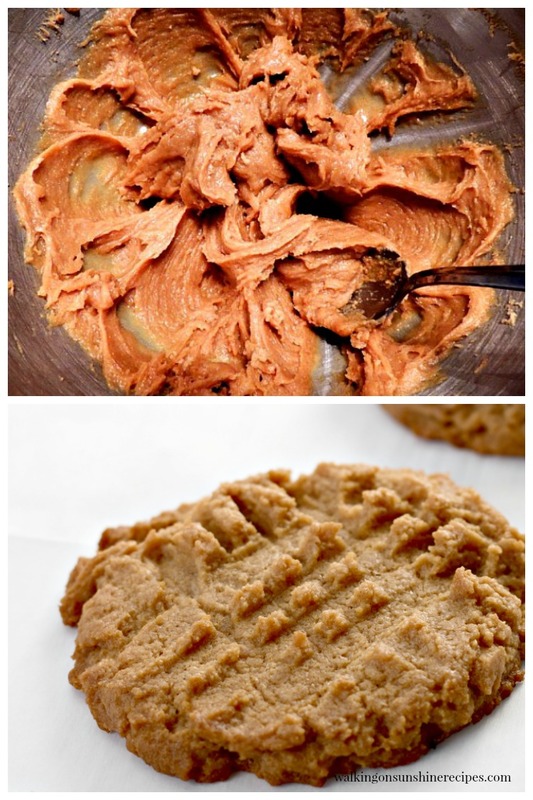 I love how easy these are because I am a peanut butter fanatic. Also I like that there are no sugar or flour in them. My grandkids are coming over tonight and this will be a fun recipe to make. I’m printing now! Would love to hear how they turn out. Thanks for visiting. My grandkids love helping me in the kitchen. These are perfect for little hands to make. Love the NO SUGAR required. I like to make their treats as healthy as possible. These look and sound delicious. I hope the grandkids enjoy the cookies! Thanks for visiting. I am totally amazed by this recipe. Even if it didn’t sound super delicious – and the photos are mouth-watering, I’d have to make it just to see how it works. I’d love to make it for the grandkids. They all love peanut butter and they would go nuts over this recipe. And I wouldn’t have to feel guilty that I was loading them with sugar. YAY! Hope they like the cookies! Thanks for visiting. Such a healthy and delicious cookie. 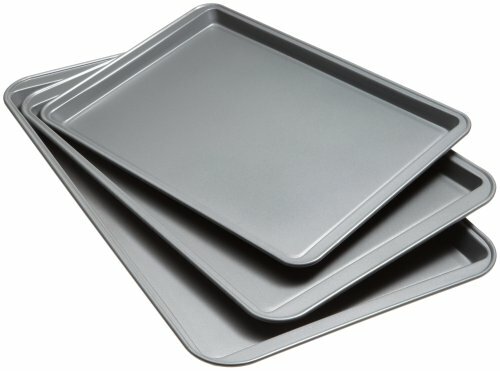 They look easy and simple to make too.